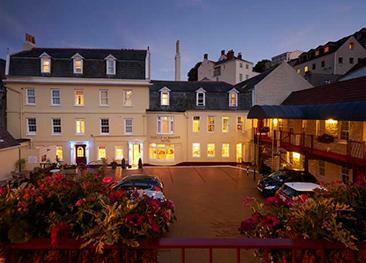 The Best Western Moores Hotel offers a great location close to St. Peter Port's town centre and to the bus station. 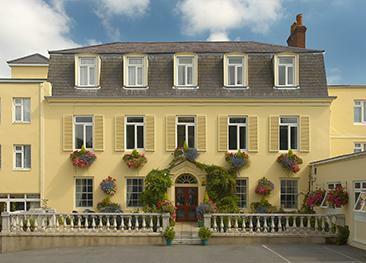 The hotel is set in a grand town house, formerly home to the influential local Saumarez family. Admirably run by the same family for over 60 years, you will find comfortable accommodation, a small health suite and varied dining options. The Moores is a popular hotel with locals and guests alike, featuring as well as fine dining, two cosy bars and a lovely sun terrace. There is a selection of single, double, twin and family rooms. All rooms are en-suite and equipped with LCD TV, radio alarm, hair dryer, telephone, free WiFi and beverage tray. Some larger rooms have air-conditioning, small refrigerators and iPod dock clock radios. There are 3 suites to choose from, all spaciously designed and featuring air-conditioning, king size beds, bathrooms with separate showers, bathrobes & slippers, large flat screen TV and DVD player. Opens daily for evening meals. Set menus and à la carte options are on offer, with local seafood always featured. The Conservatory is a popular restaurant amongst local people for the quality of its cuisine and the warmth of its welcome. This is the hotel’s new bar, restaurant and wine cellar mixing ale house tradition with contemporary style, featuring an open-kitchen and charcoal grill. Guests can enjoy their half board option in one of the Moores' sister restaurants - Les Rocquettes Hotel or the Best Western Hotel de Havelet. A great way to sample even more of Guernsey's local delicacies. A small health suite comprising a gym, sauna and Jacuzzi is available on-site and guests can benefit from the use of the leisure facilities at sister hotels - Hotel de Havelet features an indoor swimming pool and Les Rocquettes Hotel a large & well-equipped gym. A ramp at the front of the hotel allows wheelchair access and a lift serves all floors. There are no disabled bedrooms as such but some feature a walk-in shower. Good choices and quick process. Position in town ideal. I realised I had visited them for afternoon tea on a previous visit to Guernsey and was pleased to find it was the hotel I was staying at. Nice central hotel with shops and bars close by. Food and comfort of hotel good and complimentary courtesy trip round Island was very good. Very pleasant and helpful staff. Excellent food and restaurant service. Room clean and comfortable, if a little too warm at times. Loved the complimentary Island Tour provided by the hotel. A wonderful hotel, and the staff are so pleasant and helpful thank you so much. 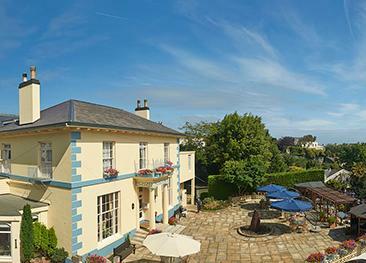 A FAB PLACE TO STAY .VERY GOOD STAFF, VALUE FOR MONEY, OUR 2ND STAY WILL RETURN AGAIN.